Australian metal heavyweights Parkway Drive have been announced as the final headliner for the 2019 Bloodstock Festival! The internet went into meltdown at this announcement with social media split down the middle. You had the old-school metalheads grimacing and complaining on one side of the invisible fence and then you had those with sense on the other side of the fence delighted at the news. Now everyone can have an opinion, what with freedom of speech and whatnot but a festival needs new acts to headline to survive and not the same ones on rotations every year. As good as some of the older headline acts are, they aren’t going to be around forever, so adding some more modern acts into the rotation is necessary (otherwise those stuck in their ways will have a full on meltdown when all of a sudden, there’s three brand new headliners that they’ve never heard of because they’re still listening to 80’s death metal). But let’s talk about Parkway Drive and why they deserve to be headlining EVERY festival. The Aussie metalcorers have dominated the heavy side of the music world with both critics and fans raving about their records and live shows. Their 2018 album reverence had the world in a flap over it’s sheer tenacity to be absolutely incredible from start to finish! 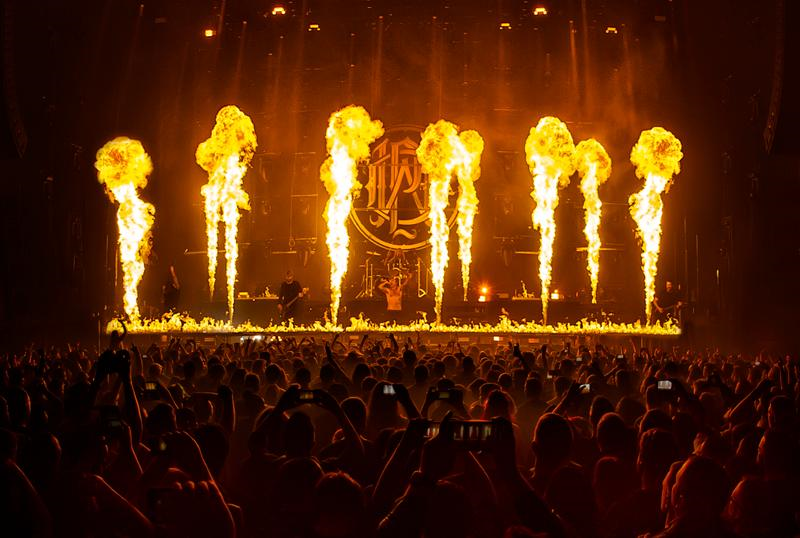 But the most important thing is that at Bloodstock, you’ll get one of the best spectacles for a live show that could possibly be brought to you, with pyrotechnics galore and a rotating drum kit emphasising brutal breakdowns and massive riffs. Back at 2018’s Download Festival, Parkway Drive made pyrotechnics work, even in the daylight and provided the best set of the day. So to those of you complaining about Parkway Drive, give them a chance and you’ll be blown away. If not, we’ll eat our hats!